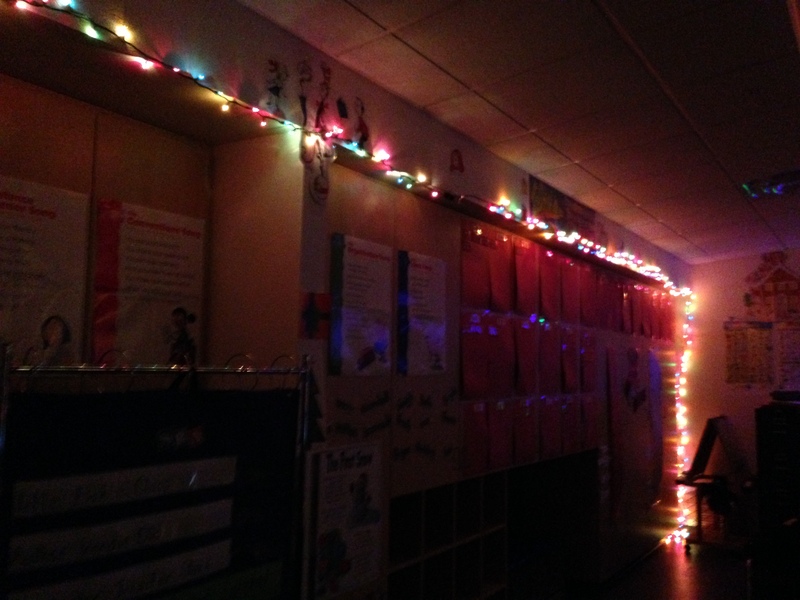 The first half of our school year is over!! 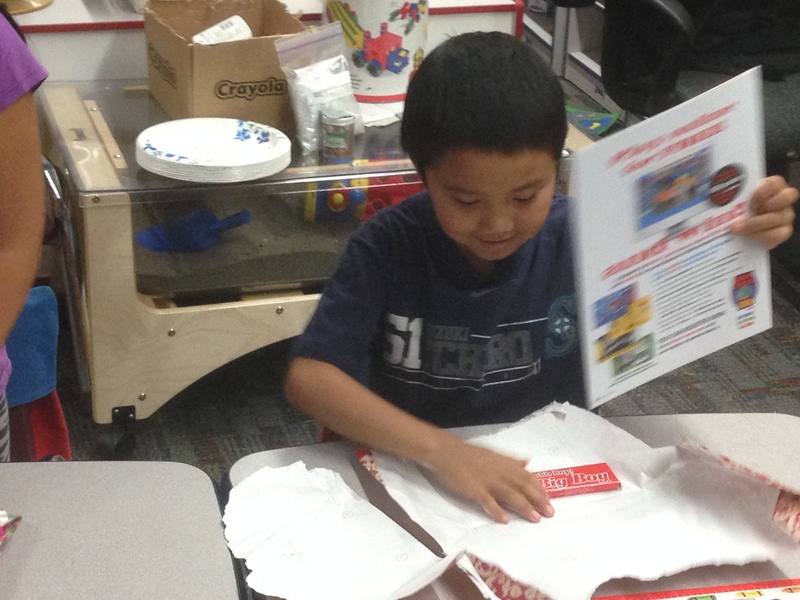 We celebrated the holidays with a holiday party and a look back at our favorite memories from the first half of the year. 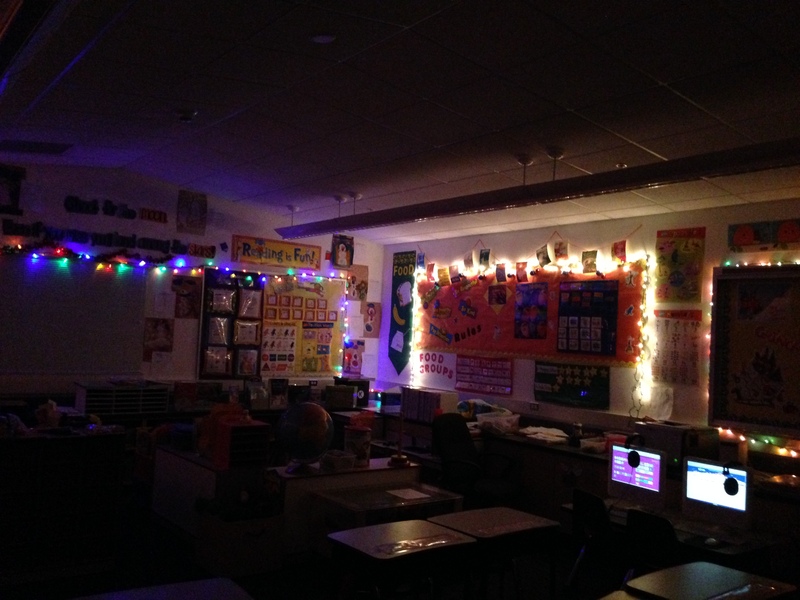 It started with us enjoying the Christmas lights and singing some Christmas songs, followed by a slide show of pictures from memories from the school year so far. 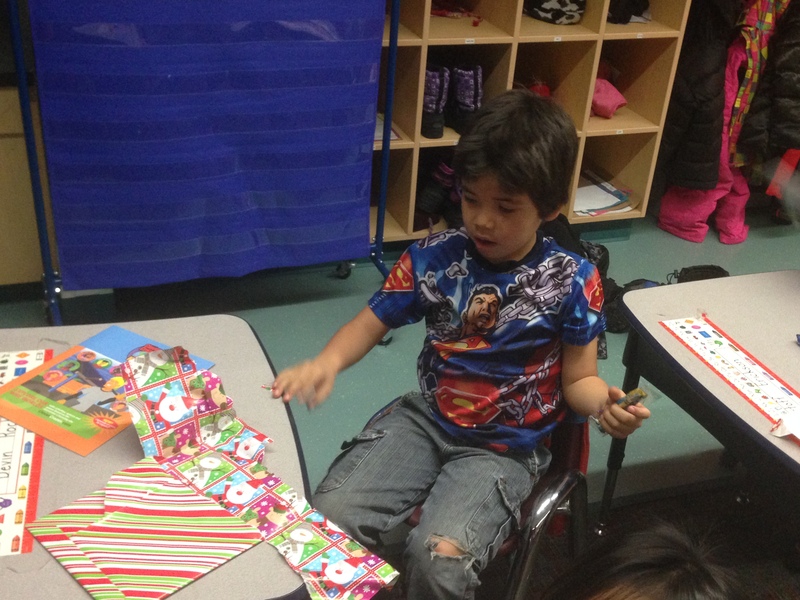 Each student made a craft for one other student in the class and they were able to give their presents to their person as well as I gave each student in my class crayons and a coloring book. 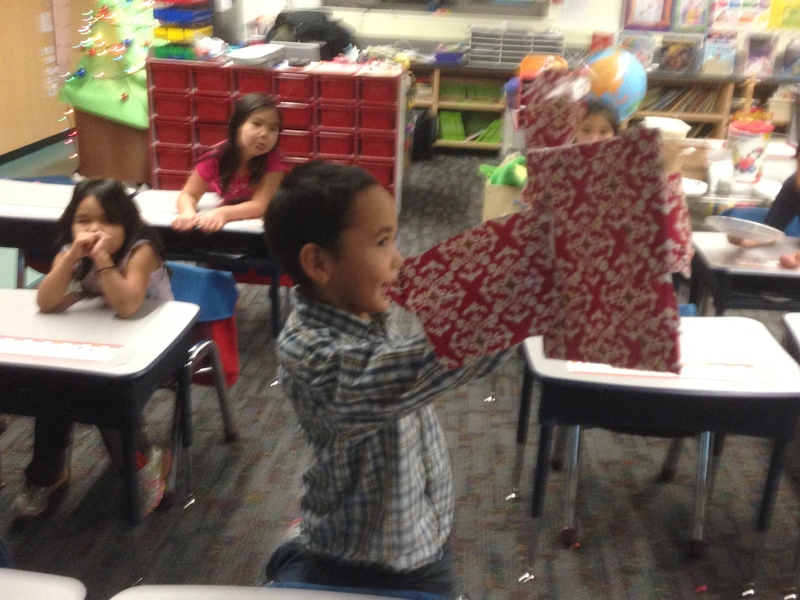 We got to open our presents and watch Home Alone! 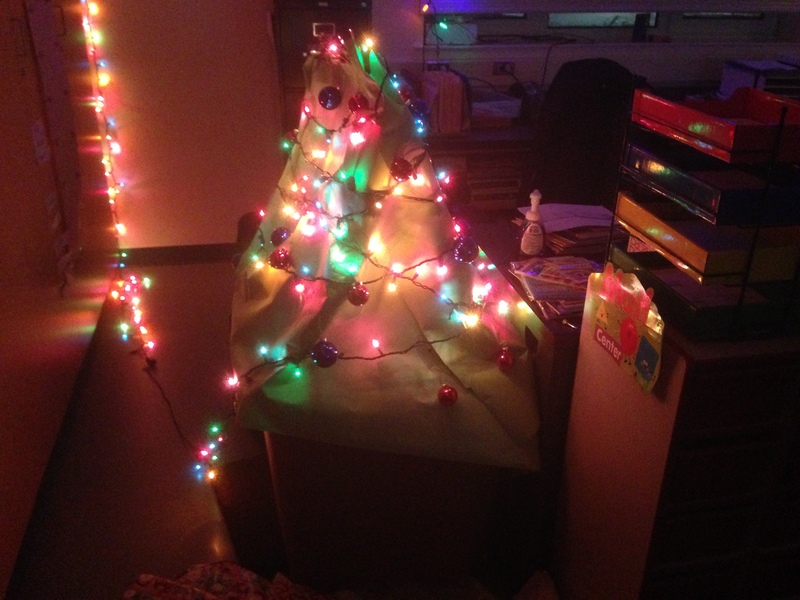 Since getting a Christmas tree is a little bit difficult here in the Alaskan tundra I made it a point of turning my paint easel into a makeshift Christmas tree. 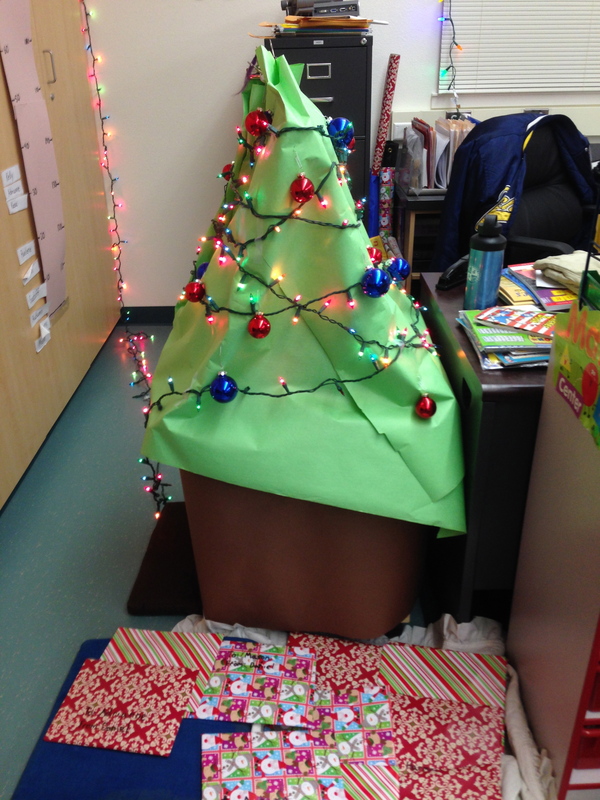 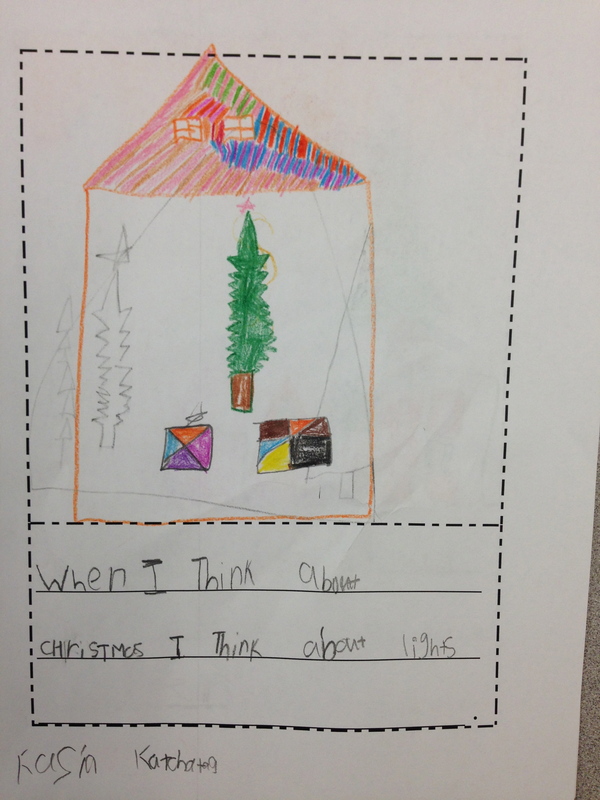 The students said they were ok with not painting for a few weeks during the Christmas season. 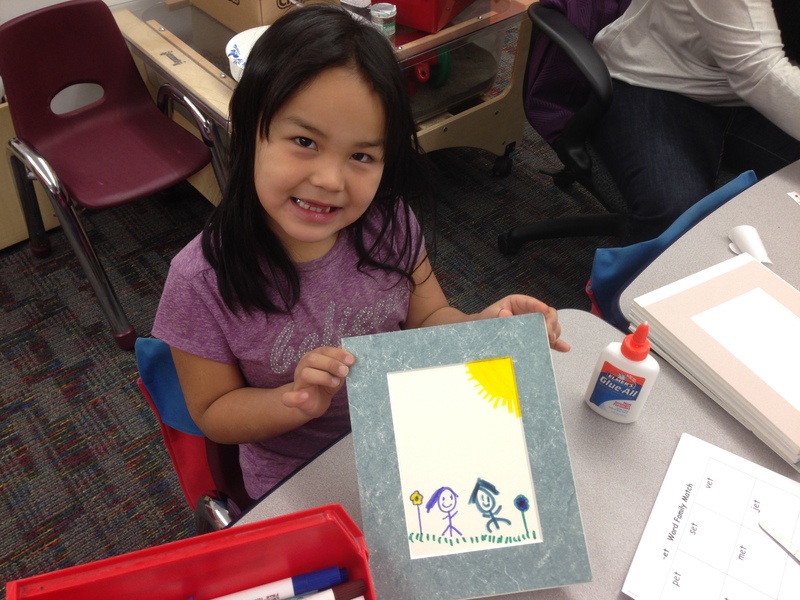 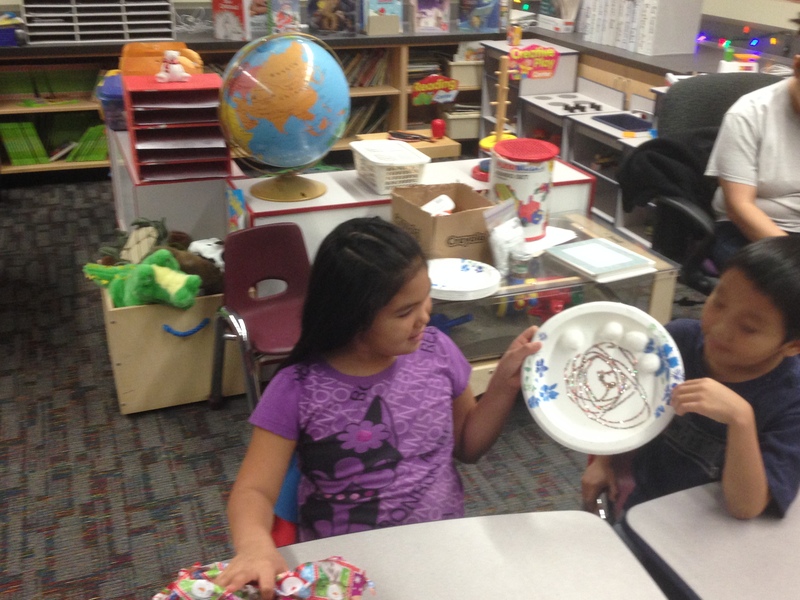 For the past few weeks students have been busy making presents for their friends in the class. 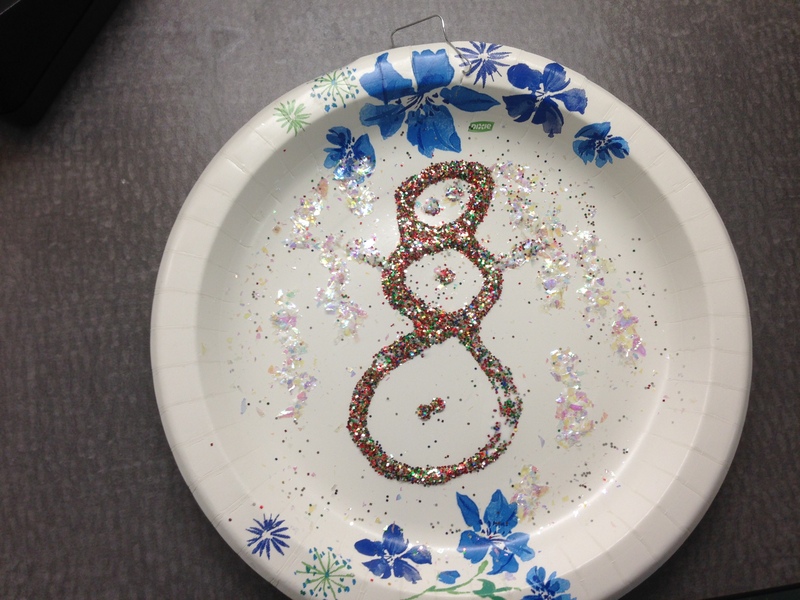 Some students made pictures/picture frames of them and their friend, some students made glitter ornaments, and some students made penguin thermometers! 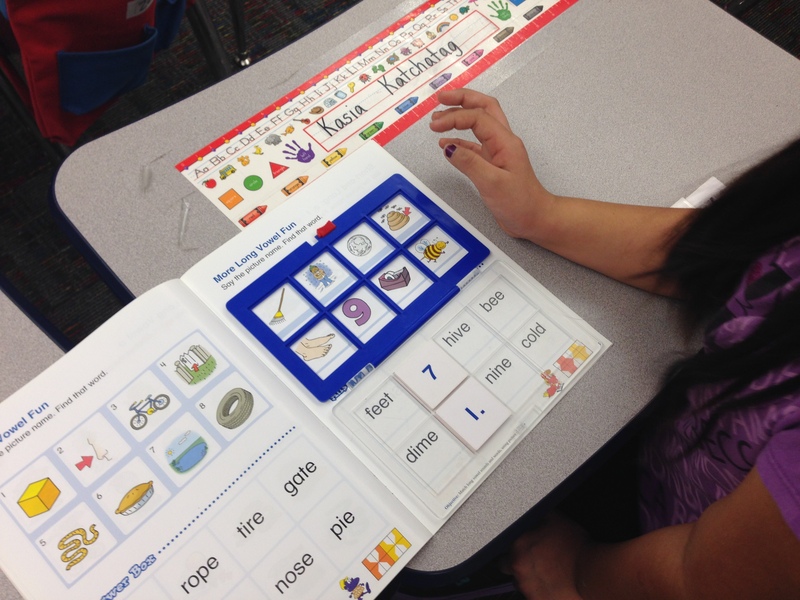 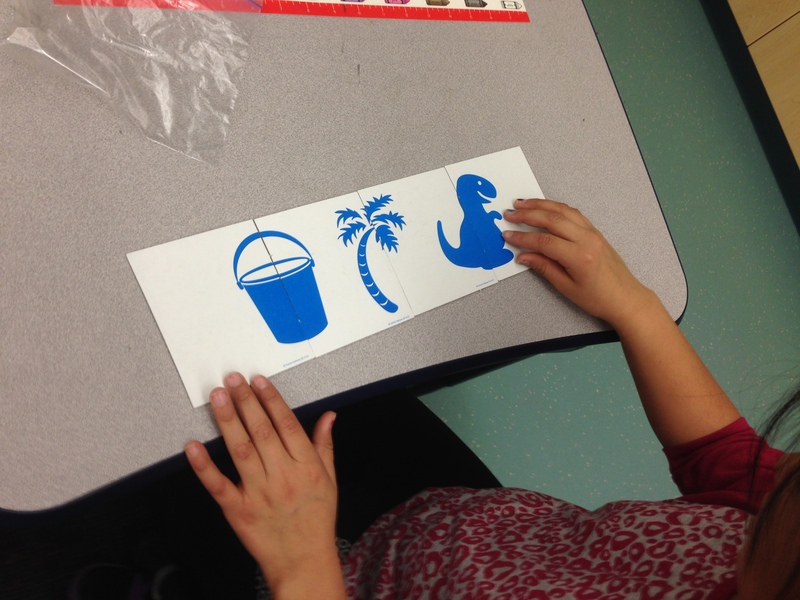 Every week we have a new literacy skill that we focusing on in Literacy workshop. 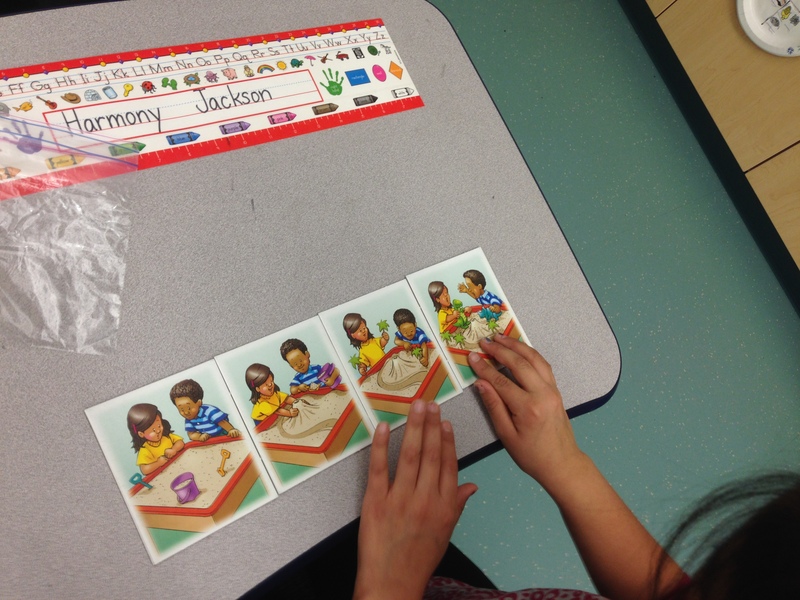 This week our mini lessons are based on sequencing. 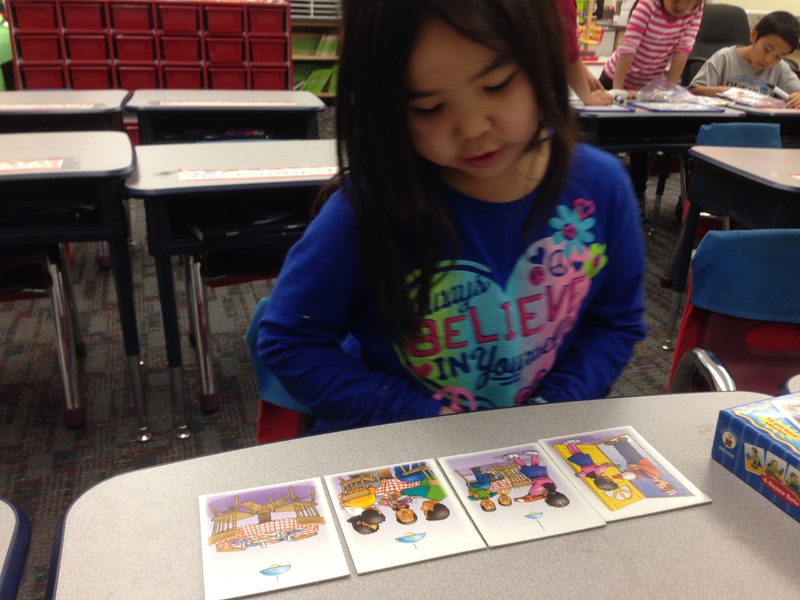 I took four big pictures that went in order and had the whole class work together to put the pictures in the right order. 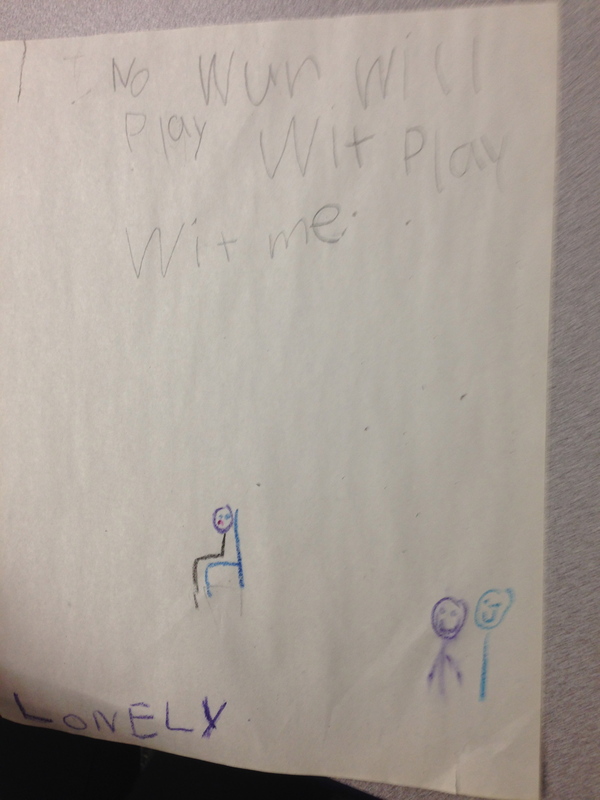 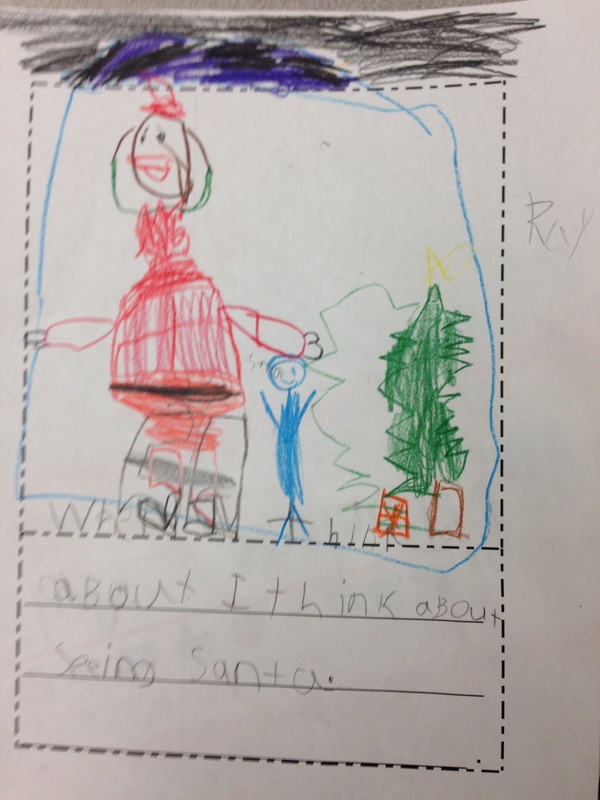 Then as a whole class we told the story. 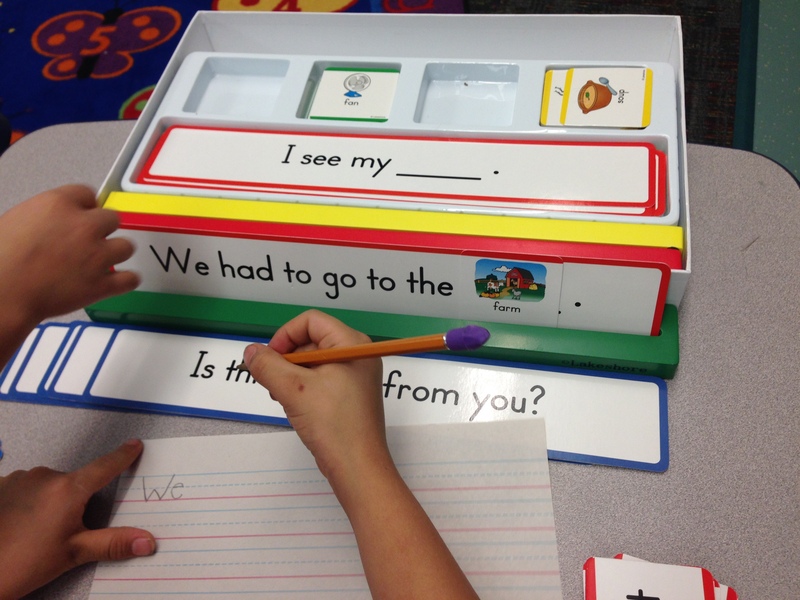 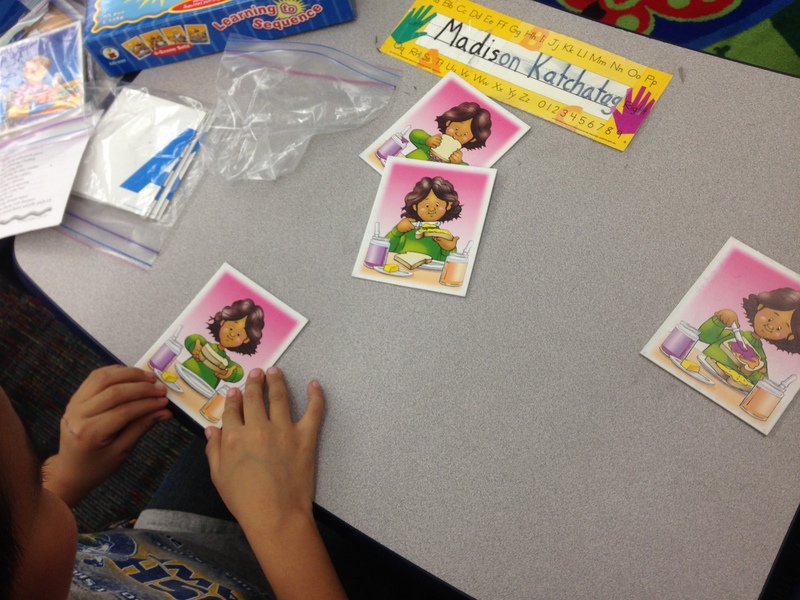 After this activity I put in the learning to sequence picture card game into out literacy workshop. 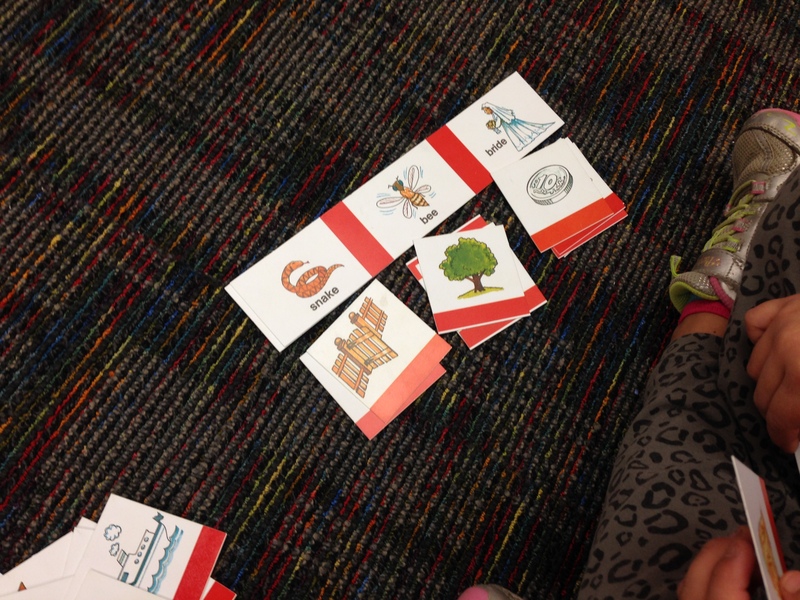 I had students work with me one on one putting the four pictures in order. 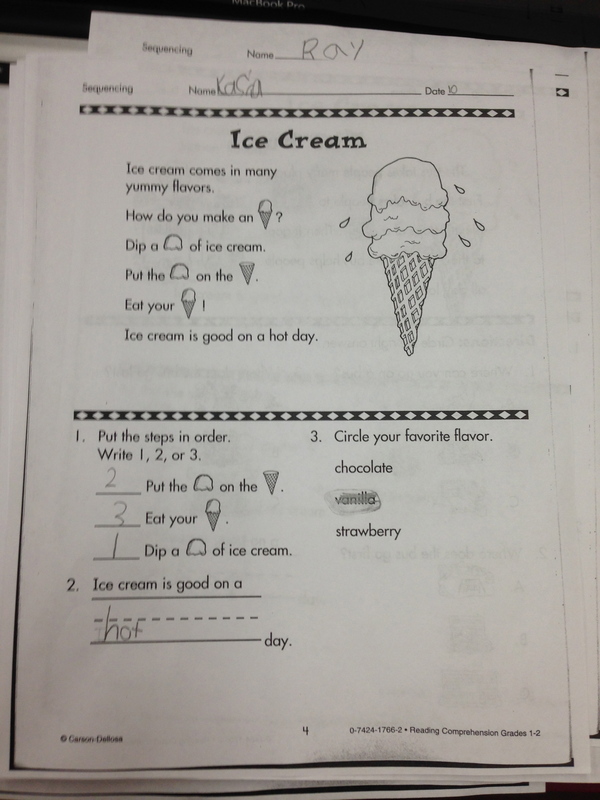 They turned the pictures over to make sure they were correct. 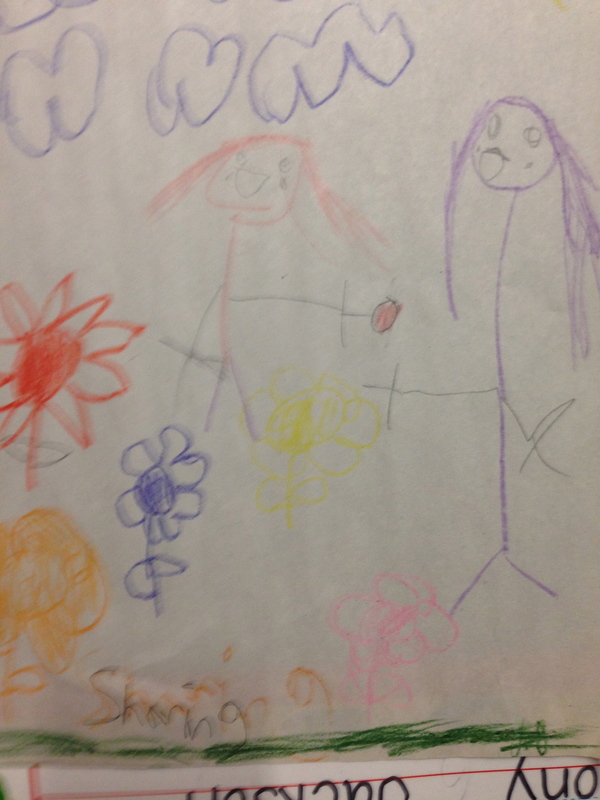 After students checked their work they turned the pictures back over and they told a story in their own words of what is happening in the pictures. 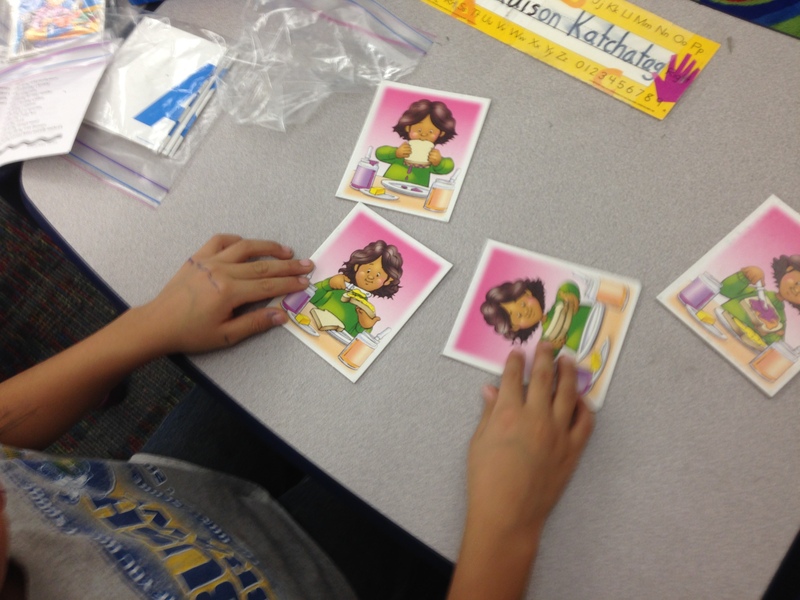 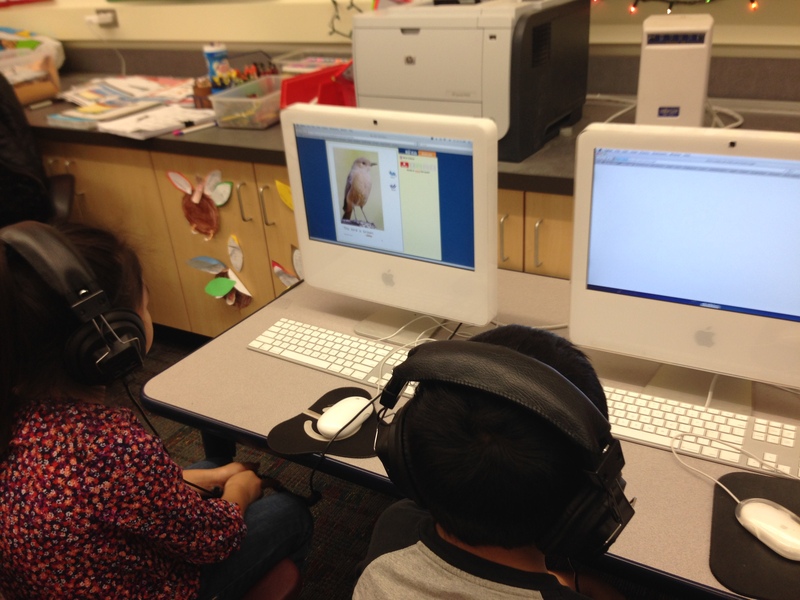 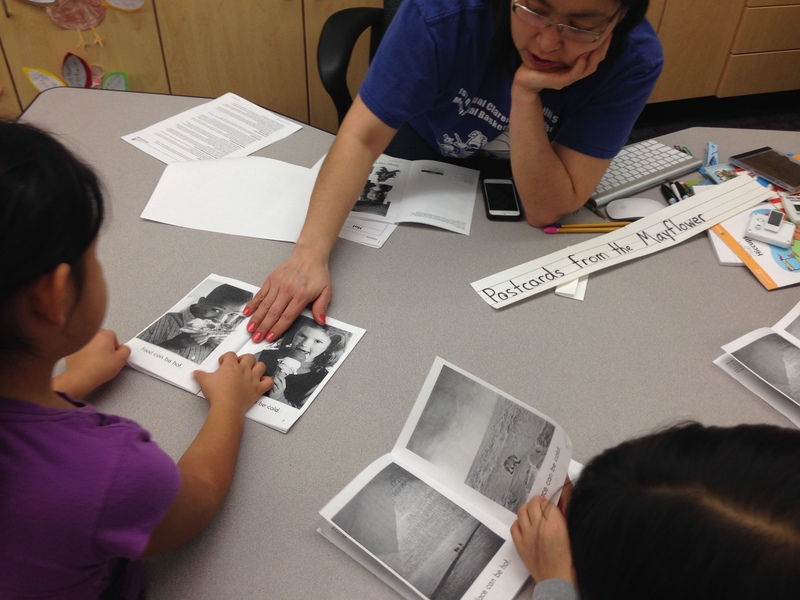 Then students practiced reading stories on their own and answering sequencing questions. 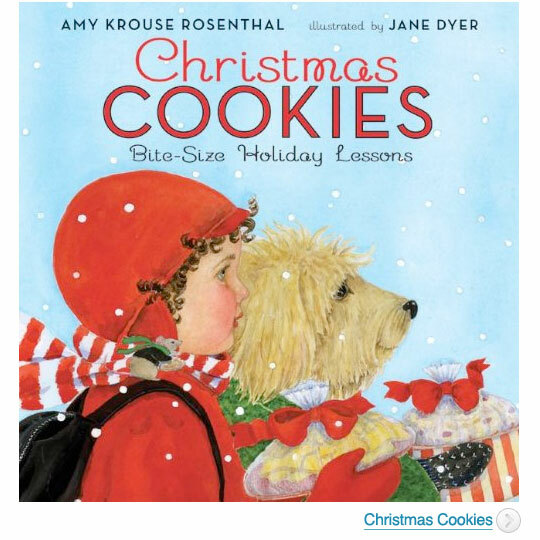 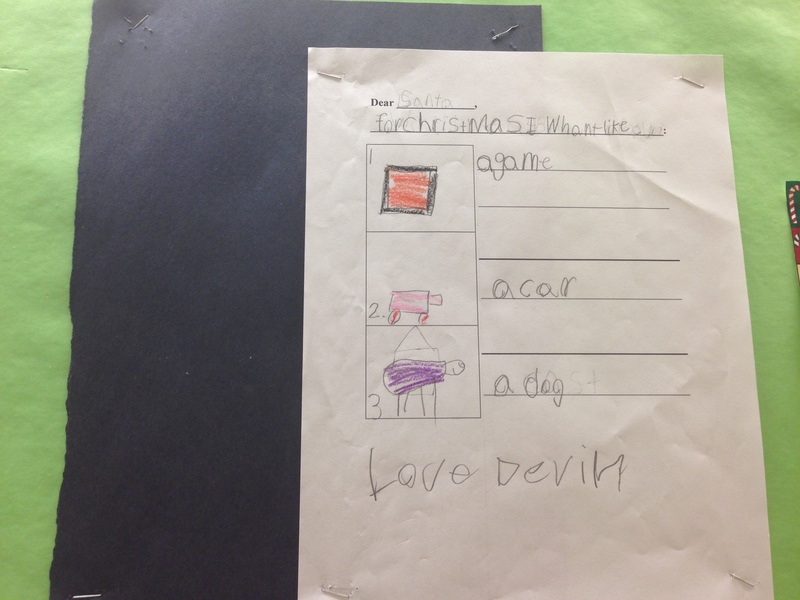 We read “The Christmas Kitten” and made predictions on what we thought would happen to the tiny kitten when Santa picked up the homeless Kitten. 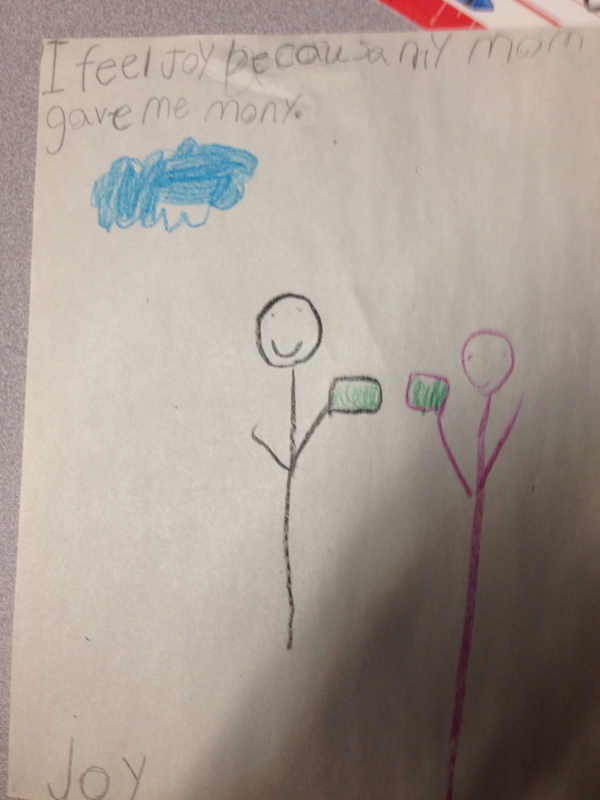 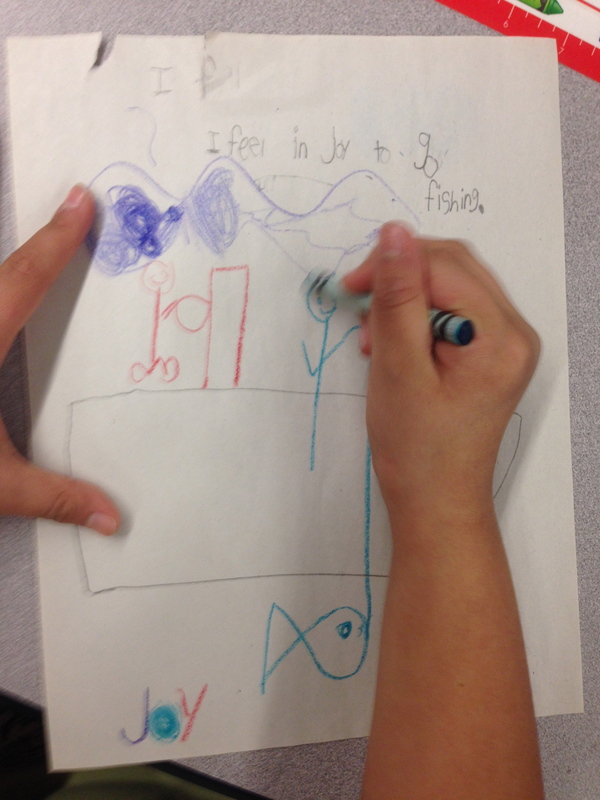 Then we used the illustrations to help us tell more of the story. 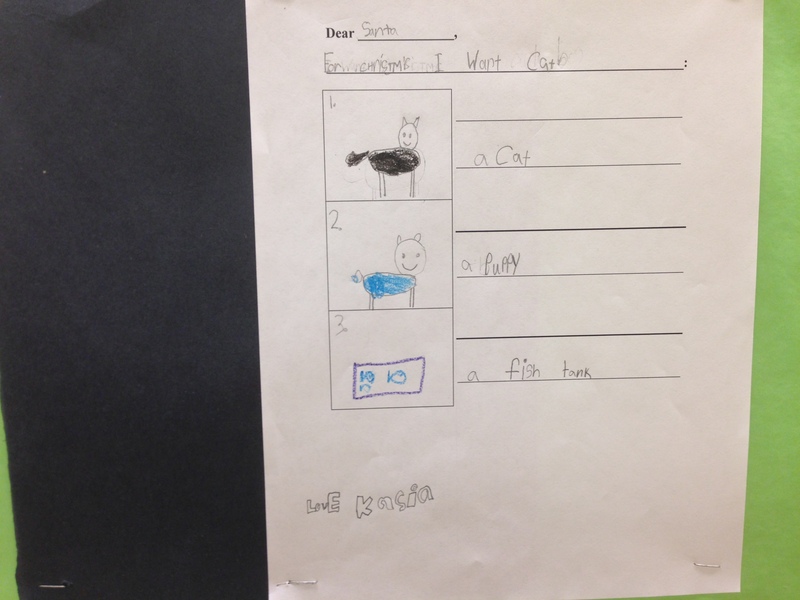 We read the letter Sophie wrote to Santa asking for the little kitten. 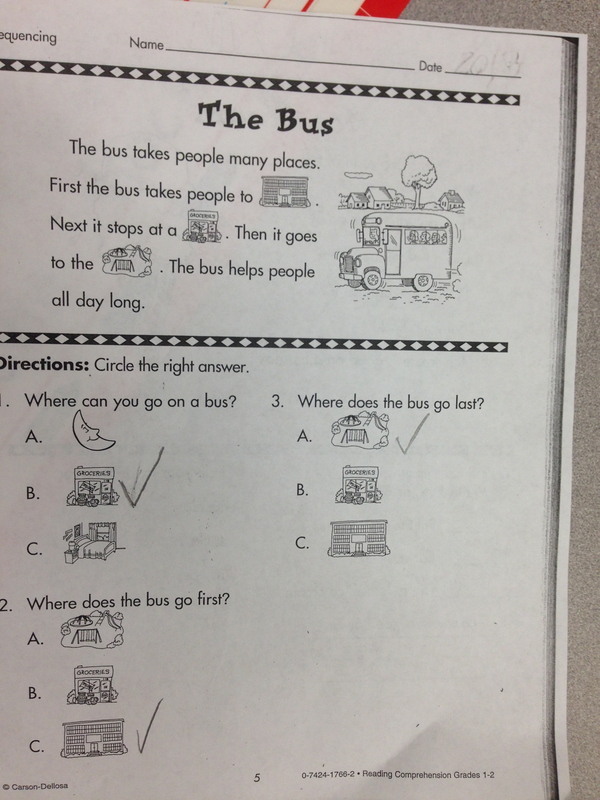 However it was never written explicitly in the text. 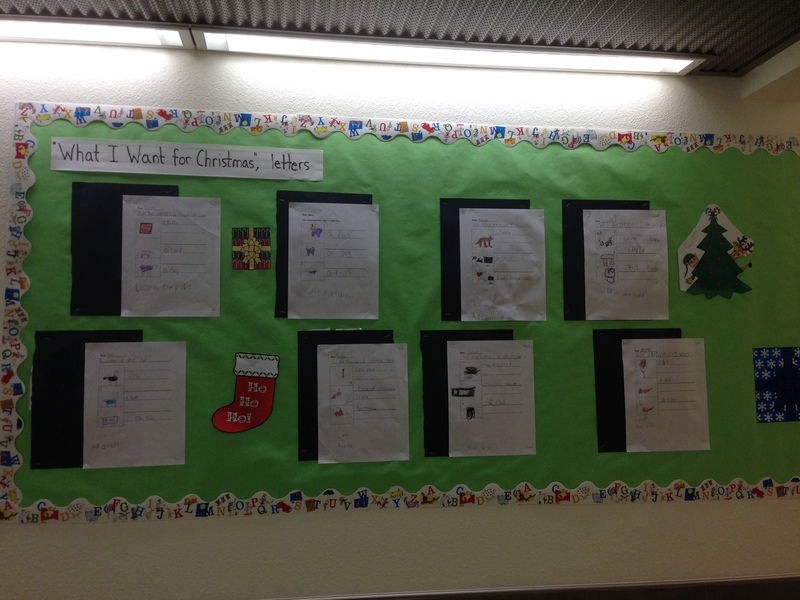 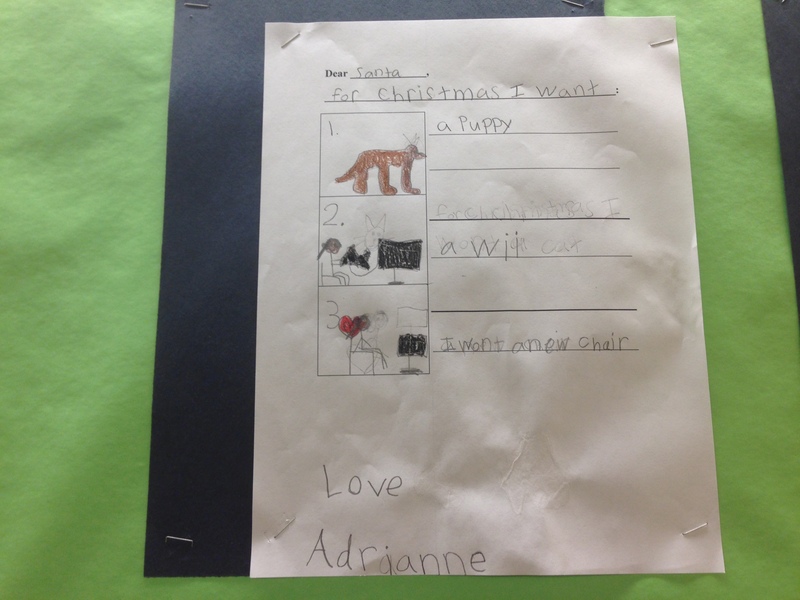 After we finished the story we wrote letters to Santa by writing Christmas lists of what they want for Christmas. 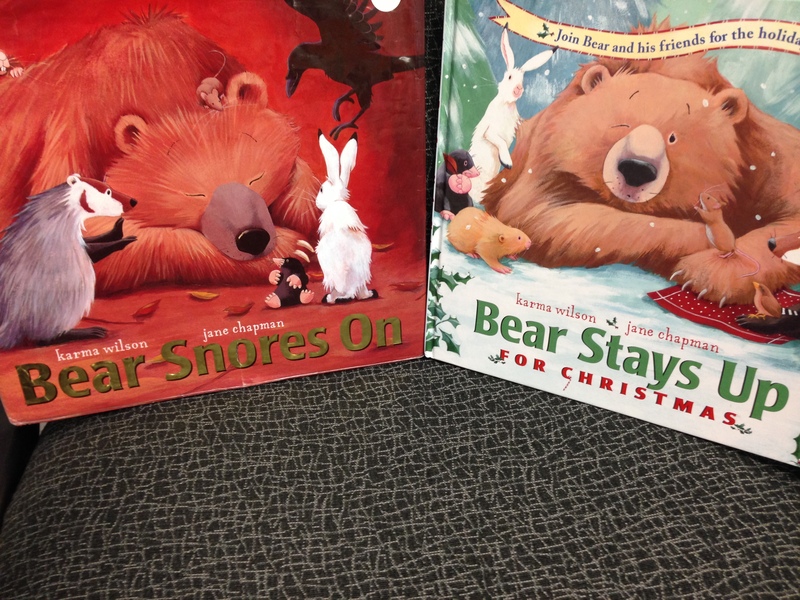 Just recently we read the story “Bear Snores On” and then the next week we read another story with Bear and his friends called “Bear Stays Up For Christmas”. 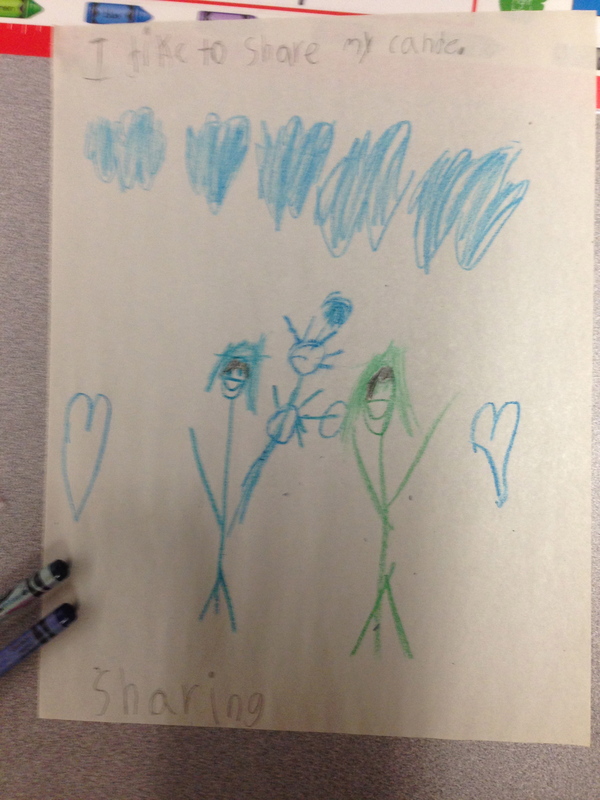 We looked at and discussed the similarities and differences in think-pair-share partners between the two books. 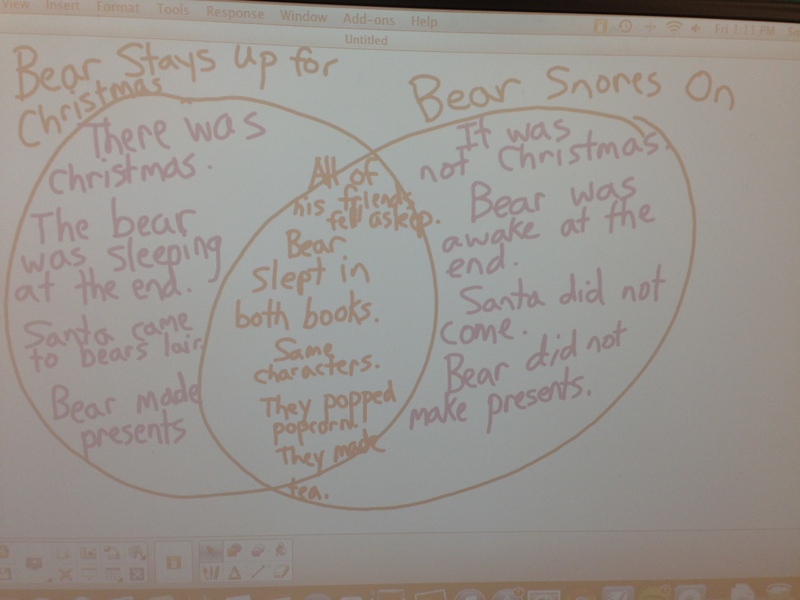 Then as a class we filled out a venn diagram that displayed what we knew. 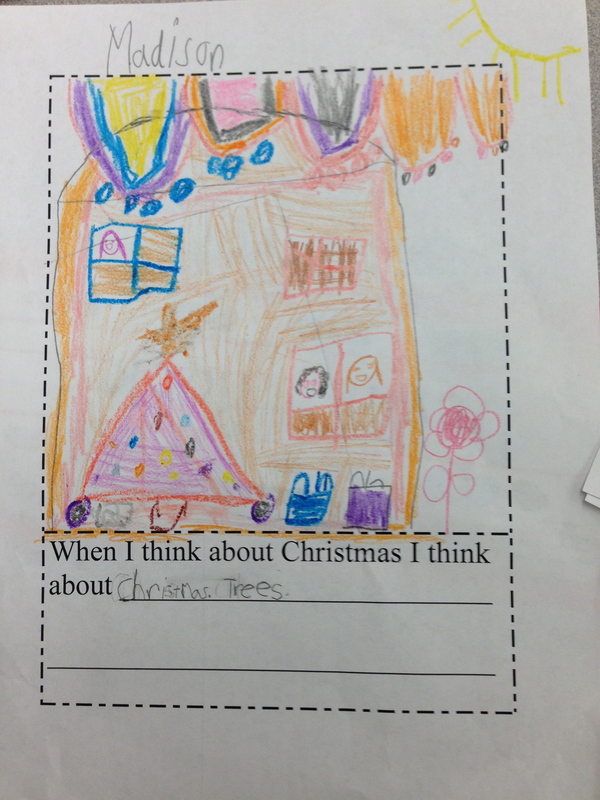 Then we went back into the text “Bear Stays Up For Christmas” and looked at things that Bear and his friends did for Christmas; such as decorate and wrap presents. 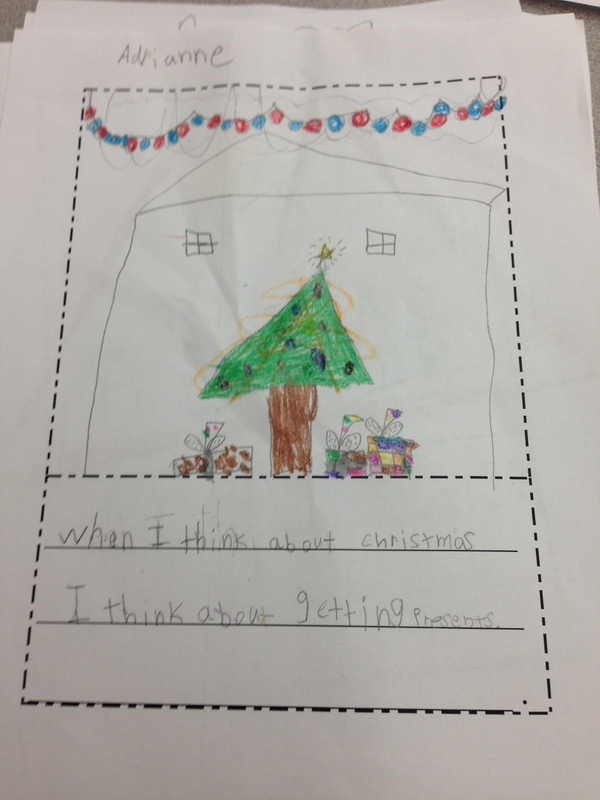 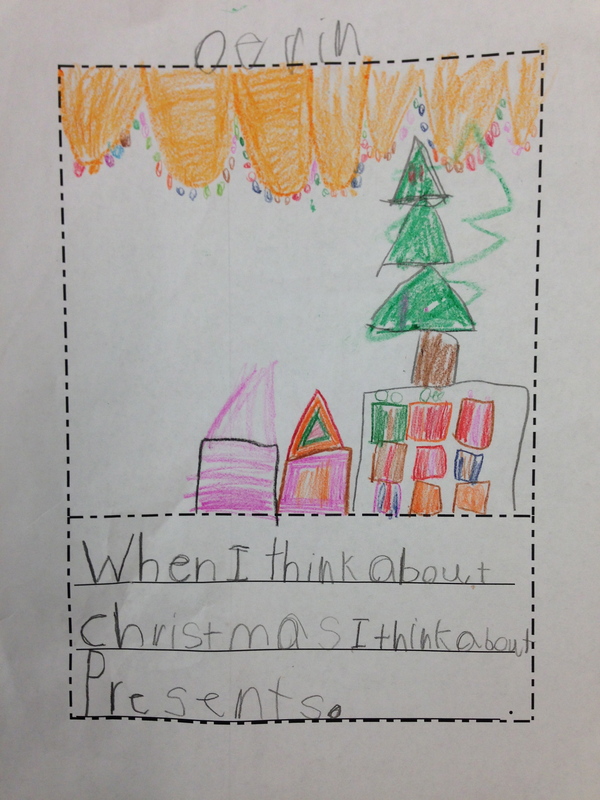 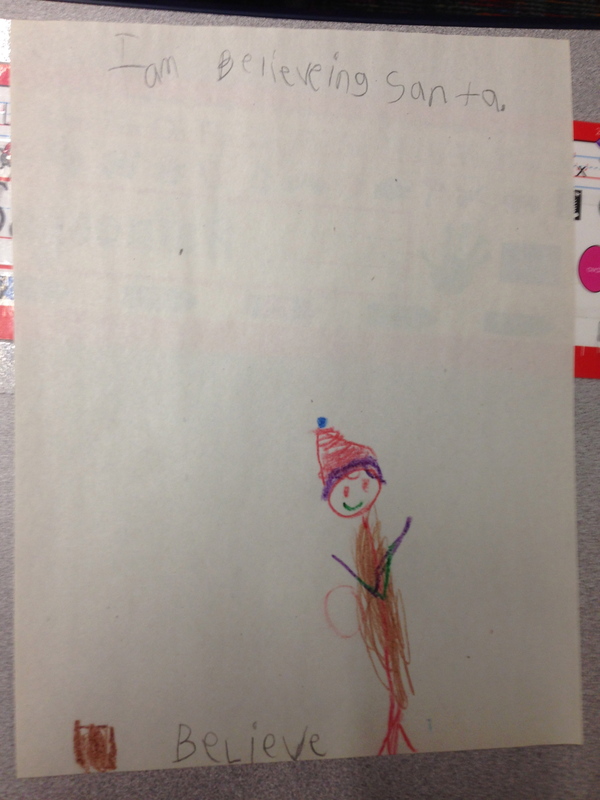 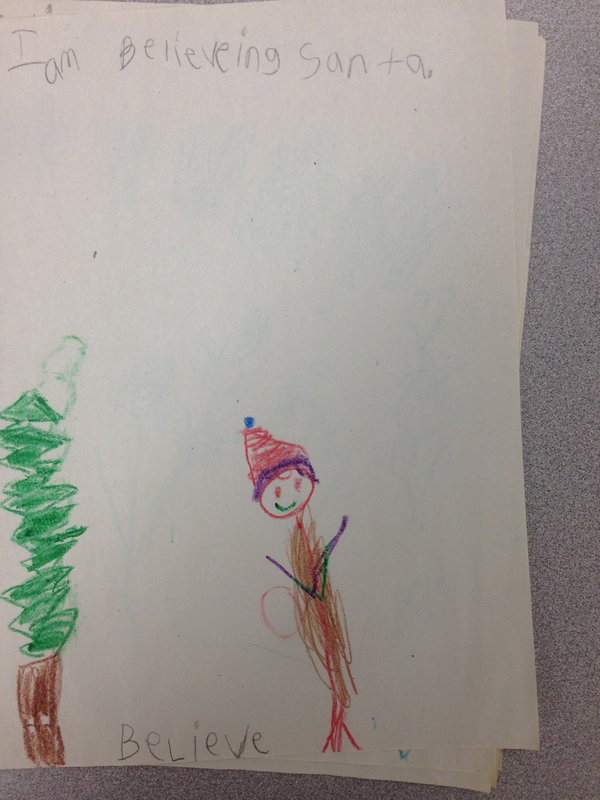 Then for a writing activity we wrote and illustrated what we thought about when we think about Christmas. 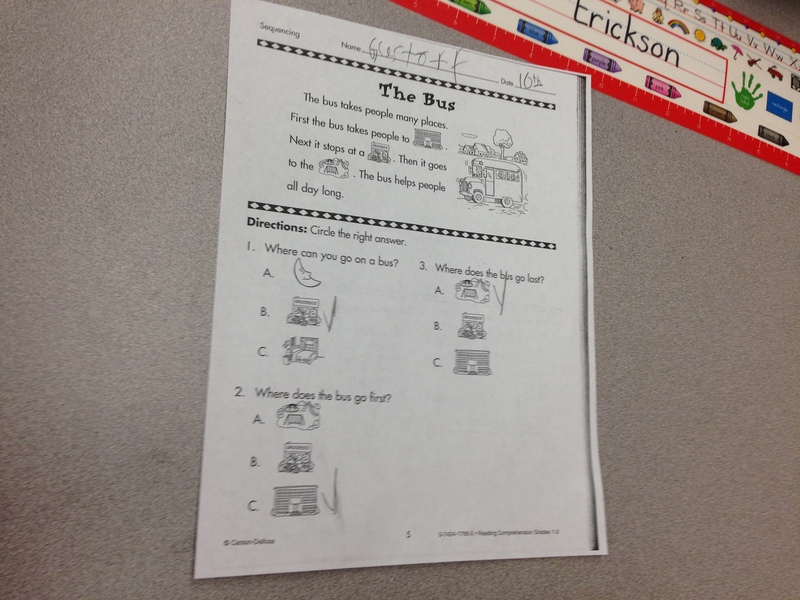 The papers with the beginning of the sentences pre-written are Kindergarten papers.